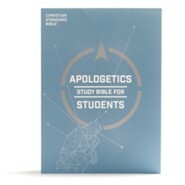 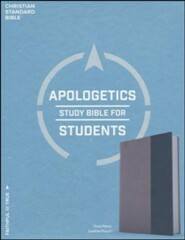 Now updated with even more material, the CSB Apologetics Study Bible for Students anchors young Christians in the truths of Scripture by equipping them with thoughtful and practical responses when the core issues of their faith and life are challenged. 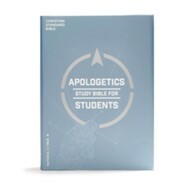 With content curated by general editor, Dr. Sean McDowell, the core materials explores over 130 of the top questions students are asking toay. 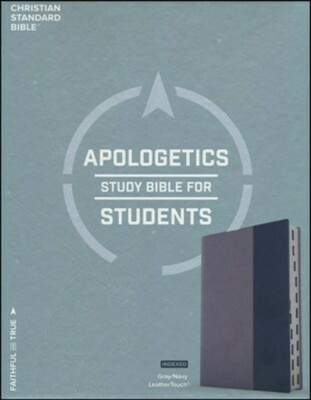 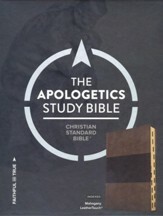 This edition includes new articles and extensive apologetics study material from today’s most popular youth leaders and apologists that has been revised and updated to reflect relevant apologetics issues and questions being discussed today. 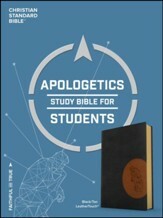 A truly unique Bible created to encourage students to ask tough questions, get straight answers and strengthen their faith. I'm the author/artist and I want to review CSB Apologetics Study Bible for Students, Gray and Navy LeatherTouch, Thumb-Indexed.